Wollongong tertiary and vocational students have started construction on a sustainable house that is set to change the way older people live. Team UOW Australia-Dubai marked a major milestone on Monday 11th December with construction commencing as part of a two-year project to build a sustainable and dementia-friendly house at the TAFE NSW Illawarra campus. The house takes its name – Desert Rose – from the flower that flourishes in challenging environments. The project is a unique collaboration between TAFE NSW Wollongong and UOW. TAFE NSW trades students play an active role in constructing the house and work alongside UOW students to advise on the practical applications of the design. Dementia is the second leading cause of death in Australia and the challenges associated with living with dementia often mean people need to move out of their home at the most vulnerable time in their life. The house’s building plans are underpinned by a set of design principles developed by UOW’s Professor Richard Fleming, based on his work with the elderly for more than 30 years, as well as innovations developed at UOW’s Sustainable Buildings Research Centre (SBRC). Throughout the design phase, the students have been working closely with local aged care providers and the Dementia Training Australia group to ensure designs meet the changing needs of occupants. “The design aims to change the way the world views homes for the elderly with a house that is architecturally inspiring, celebrates life and demonstrates a house that is adaptable to an ageing person’s needs,” Project Manager Clayton McDowell said. “It’ll reduce the stress placed on health services by including state-of-the-art design that supports independent living for occupants living with age-related disabilities and diseases including dementia. Innovative heating, ventilation and an air-conditioning system that uses solar cooling technology and takes advantage of passive design will enable the home to be comfortable and sustainable, even in the heat of the Middle East. 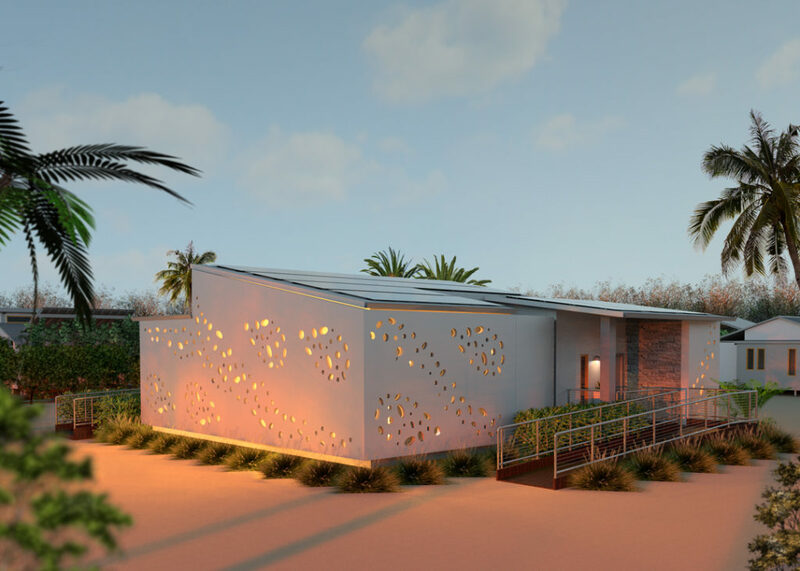 The Desert Rose will be designed and built in Wollongong before being disassembled and shipped to Dubai to be reconstructed over a 10-day period in November 2018 as part of the Solar Decathlon Middle East 2018. The Solar Decathlon is an international competition challenging collegiate teams to design, construct and operate a solar-powered house. 21 teams will be competing from across the world including the UAE, Italy, Saudi Arabia, The Netherlands, Taiwan, Jordan, Serbia, Pakistan, France, Oman, Malaysia, Romania and USA. Following the competition the house will be shipped back to Australia, rebuilt, and put on display at UOW’s Innovation Campus. Team UOW hope to make it two in a row after winning the Solar Decathlon China 2013 with the multi-award-winning Illawarra Flame House. Team UOW Australia-Dubai is made up of students from the University of Wollongong, University of Wollongong in Dubai and TAFE NSW, with teams from a wide range of disciplines complementing the people-first approach to design and construction. Tony Schaefer, TAFE NSW Solar Decathlon Project Manager, said the project was a priceless opportunity for students and marked the only entry in the history of Solar Decathlon where a university and vocational college teamed up. He said the project also fostered a collaborative spirit between aspiring engineers and tradespeople, encouraging them to work together during design and construction, improving communication and reducing mistakes. “This is a fantastic experience for students and teachers from both institutions,” Mr Schaefer said. UOW Vice-Chancellor Professor Paul Wellings CBE paid tribute to the hard work and dedication of the 200-plus students and staff involved in the project. “This is an excellent example of how students in the Illawarra can engage in challenging learning with practical outcomes,” Professor Wellings said. “Many of these students have been volunteering their time to work on this project in addition to their studies and other commitments. The total cost of the Desert Rose project (both in cash and in-kind) is expected to be about $2.5 million, which includes the team’s travel and transport to and from Dubai. Funding of $500,000 is being sought from government, with the balance to be sourced via industry sponsorship and UOW contributions. 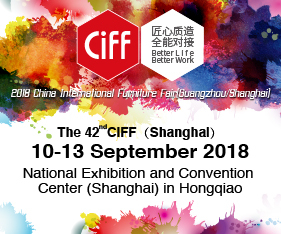 Posted in Architecture & Design and tagged architecture, art, australia, design, furnishing international, furniture, home, homewares, industry, industry news, interior design, interiors, NSW, Victoria. Bookmark the permalink.